There are different conflict management styles that you can learn to use interdependently. It doesn’t matter if you have a predetermined style; you can learn other styles and use them to your advantage in any given situation. 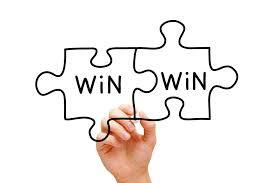 Some negotiations are about creating value for both parties and reaching win-win agreements. It is not always about destroying the other party. When you focus on how you can make your situation better, you can create even more value than when you focus on terminating the other party. Be prepared in advance for every negotiation. Good preparation is the key. Do your homework and get to know who you are dealing with in order to create your strategy. Try to uncover the other party’s interests, needs, and motivations. Negotiation is essential for businesses anywhere in the world with the goal of reaching agreements without creating future barriers. It is especially important to learn how to negotiate in different cultural settings. Negotiation is all about attitude, preparation, knowledge and emotional intelligence.